Reckless Endangerment: Time to pay up, AIDS Inc! ACCORDING TO AN ULTRA RELIABLE dissident source, namely one Clark Baker of the world-renowned Office of Medical and Scientific Justice,* it appears that the shadowy but extremely well funded organisation of PharmaSluts known as AIDS Inc (#14 on the list) has so far paid Seth Kalichman 17 million dollars for his blog, Denying AIDS and other oddities. Celebrated writer, producer, US Marine, private eye, pilot, divemaster, retired LAPD officer and father of a US Marine and public school teacher and general all-round great guy, Clark studied humanity on the streets of Calcutta, Nairobi, Rio, San Salvador, and Los Angeles (according to one of his numerous blogs). So he must be telling the truth here. 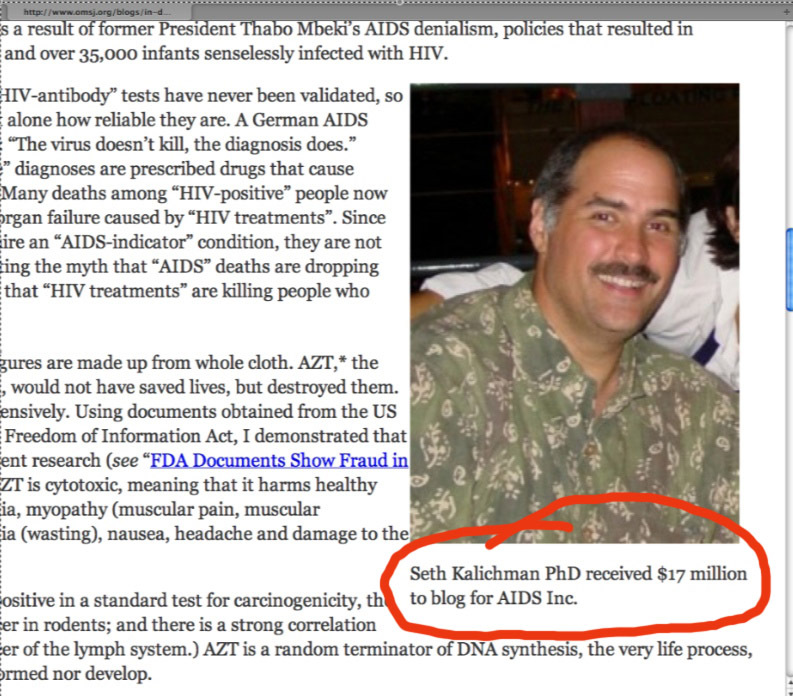 As the recipient of such PharmaLargesse it's no wonder Kalichman's smiling! This is an outrage! For all his hard work slaving over a hot dial-up connection, Snout has yet to be offered so much as a cheap plastic ballpoint pen, or a pad of post-it notes emblazoned with the brand name of the latest stiffy pill evidence-based erectile dysfunction therapy. Snout hereby demands that the goons of AIDS Inc immediately forward an appropriate and commensurate recompense for his efforts on this blog. 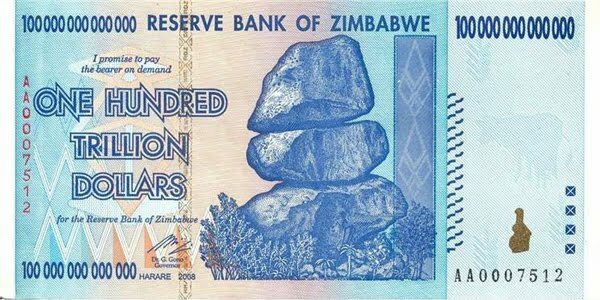 About $5 - $10 million would be acceptable, given the current going rates. Used unmarked bills in a plain brown paper package, K? 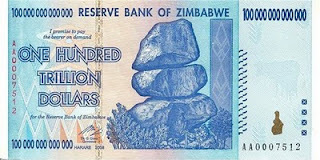 And in US or Aussie dollars, please, not those Zimbabwean notes you tried to fob him off with last time. You know where his kennel is. *OMSJ is supported by attorneys, scientists, physicians, researchers, investigative journalists and individuals throughout North America, Europe, Asia, Africa and in particular by residents of the planet Xyphron. Because of the nature of their work and the well-documented retaliation that comes with exposing corruption within the pharmaceutical industry, most of these individuals provide support - well, who'd have thunk it - anonymously. Senior Contributor Liam Scheff and Clark Baker are exceptions, as are several of their imaginary friends. Well, Snout, you're a sucker!! And so is Kalichman!! I have been paid a cool $20 Million just for this past quarter alone!! There is much more moola in my National Inquirer style of journalism!! I could give you a loan. $17 Million? What is he crazy? That is barely what I got from Glaxo alone. He will need to amend his story when he finds out how much I have received from the the Gallo Trust Fund. Crazy is as Crazy does...and man, is Clark Baker CRAZY! Yeah, rub it in, why don't you. Big Pharmas not getting much bang for their buck in this trite little blog.